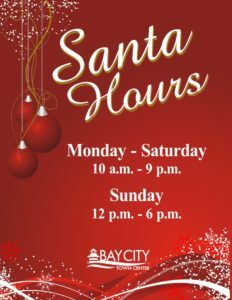 Bay City Town Center continues the tradition of hosting Santa Claus – the Real Deal – natural beard and jolly cheeks. 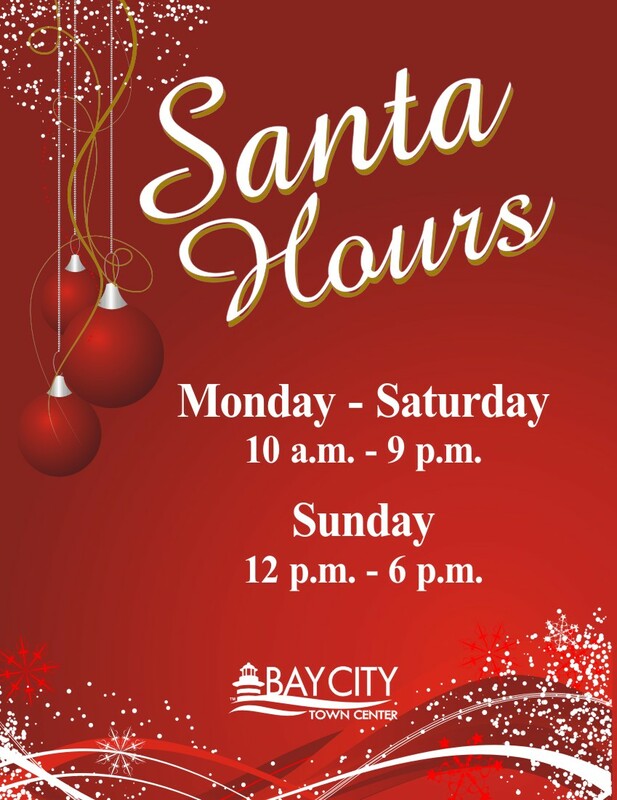 Santa’s house is located in Center Court. MON. – SAT. 10 a.m. – 9 p.m. & SUN. 12 – 6 p.m.